In 1991, Wim Wenders released the film “Until the End of the World”. I am not a movie person by any stretch of the imagination, but I am a music person, and in 1991, I was a label manager for Warner Bros. Records. Warner Brothers released the soundtrack, and an advance cassette of the soundtrack landed on my desk, introducing me to art that would make an indelible impression on me. It was a cool and sunny day and I was walking around the intersection of N. First Avenue and Seventh Street South, an intersection as historical as 12th Street and Vine and one that looms as large in my legend as does Bowery and Bleecker. 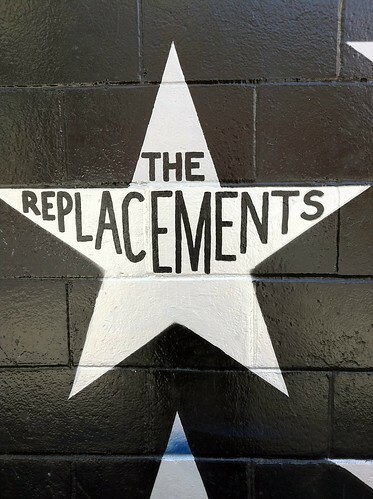 I’m standing in downtown Minneapolis, Replacements blasting in my earphones, taking photo after photo of the stars on the wall of the nightclub at that location, that valhalla that launched the careers of every band I have loved from Minneapolis. Purple Rain was filmed here. And the Replacements got their start around the corner in what locals call “the Entry,” the tiny triangle shaped dark box that reeks of beer and cigarettes (still). I spent the rest of the afternoon wandering the downtown, the entire Replacements catalog cycling through my ears, walking around streets I know solely from addresses in rock and roll records and the pages of fanzines: Nicollet Mall. Hennepin Ave. The video above is Jesse Malin onstage at the Stone Pony Saturday night. Yes, that is me, singing along in the background, even though I was taping. I hit record because I was anticipating some kind of hopeful rumination about Paul Westerberg or the Replacements or something similar. Instead I watched a bunch of people stand and stare at the stage. I continue to remain amazed that in 2011 that “Bastards of Young” is not canon, that it is not mandatory, that everyone in the world does not know the words to it. Or even at least a Jesse Malin audience who presumably bought the covers record for which this was the lynchpin (as per Jesse), that they would know this song. I remain amazed that the Replacements continue to fade from view, that people don’t know and don’t care and don’t care to know. I am like one of those old people who remembers when things were one way and they still think things are that way, because in my day everyone I knew loved the Replacements (or made a conscious decision that they did not) and they were huge and important and hugely important, they were massive, they were the kind of thing you planned your life around, an album, a tour, a show, a television appearance was like a national holiday of some sort. It’s not going to be a secret to anyone who’s read my work over the years that I’m a tremendous Replacements fan. I could not be happier that someone is finally telling their story especially when that someone is Gorman Bechard. If you don’t know who he is, he’s the author of one of my all-time favorite books, The Second Greatest Story Ever Told – which I found out about because the Replacements are mentioned repeatedly, and it popped up in some issue of The Skyway (which, if you’re a Mats fan, will be near and dear to you). (It doesn’t hurt that he’s also a tremendous Mets fan.) 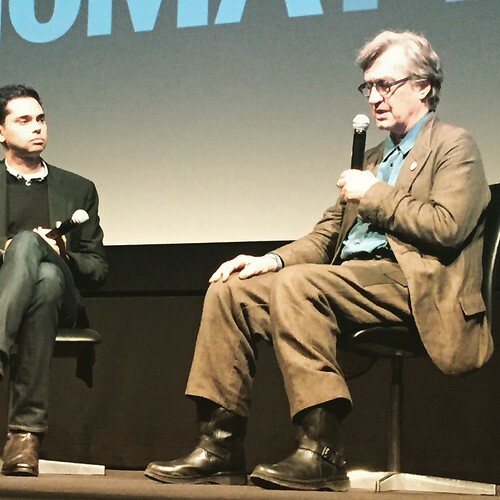 Anyway, he was raising funds for the film on Kickstarter and I couldn’t donate fast enough. The film is called Color Me Obsessed. Spread the word.